When people want to watch TV shows on their iPad, they’ll often go to a paid site like Hulu or Netflix, or they might even buy the episodes from the iTunes store if they want to own them. As you might imagine, though, this can get kind of expensive at times. What if you spent all your money on your fancy iPad and you don’t have any left over to buy any TV shows? Luckily, there are some ways to download TV shows to your iPad for free. The way to download TV shows to iPhone or iPad for free is by downloading the TV shows from some free website on computer and transferring them to iPhone or iPad then. Before we list some sites with free TV shows, remember that some of the media on these sites may be copyrighted in certain countries. If this is the case, then it might be in fact illegal to download them if you reside in those countries. You probably want to support the creators of the show if you really like it, anyway, right? 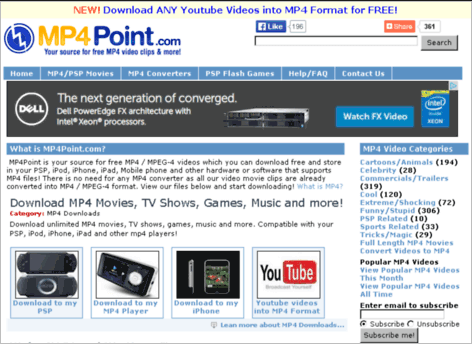 MP4 point is a nice website that lets you download all kinds of video clips, movies, and TV shows in MP4 format. This means that you can easily save them and play them on your iPad. The site also seems to offer a service that lets you rip video from Youtube, which is a great extra. 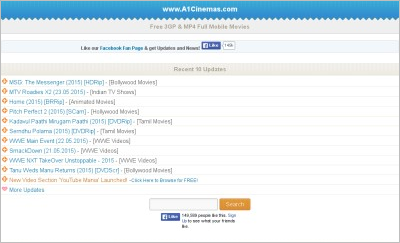 This is another great site that is perfect for fans of Indian movies. However, there’s also a good collection of movies from around the world. The navigation is really simple as well, and there are lots of thumbnails so it’s easy to see which TV shows and movies you are clicking on. This site has a lot of recent movies on here, so if you like to see the latest releases, this is a good resource. You can download all kinds of TV shows, though, not only new ones. The navigation is really easy on this site, too. This is yet another site that lets you download MP4 files to your iPad, like most of the sites listed. 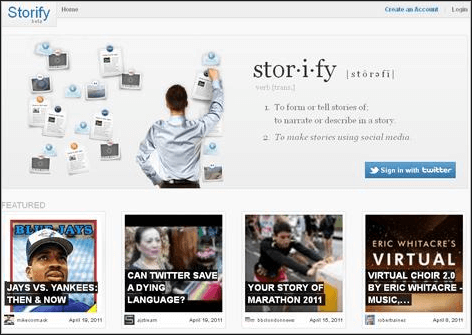 You can download TV shows, movies, video clips, news, and more. Have you already downloaded TV shows on computer, and you would like to transfer them over to your iPad or iPhone? You can do this a few different ways, but there are two main methods. 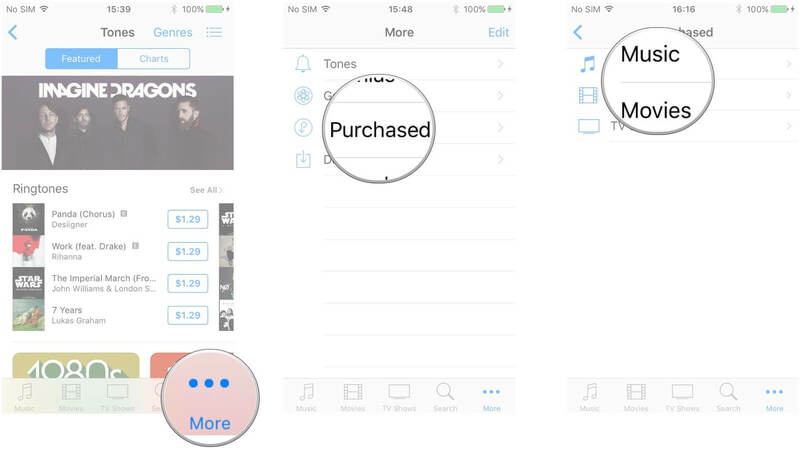 There’s the “official” way with iTunes...and then there’s a better way, using an iTunes alternative. The problem with using iTunes is that it has inherent limitations, you see. If you transfer TV shows through syncing with iTunes, you can overwrite the library that you already have on your iPhone, deleting media that’s already on there. In addition, Apple has restrictions to discourage you from transferring TV shows that you didn’t buy. It’s also hard to share these video files with friends who have different Apple IDs. How do you bypass all of these limitations, then? Well, you can use an application like iMyFone iOS Transfer to get your freedom back. iMyFone iOS Transfer is one of the best device managers for iOS—even better than iTunes—because it lets you do pretty much whatever you want with your iPhone or iPad. Download TV shows and other media to iPad/iPhone from computer, iTunes, external HD, which has a free trial. Backup media files from iPhone/iPad to computer, iTunes, USB drive, and restore backups anytime. Share files with devices that have different Apple IDs. Transfer media, whether or not you purchased it in the official store. 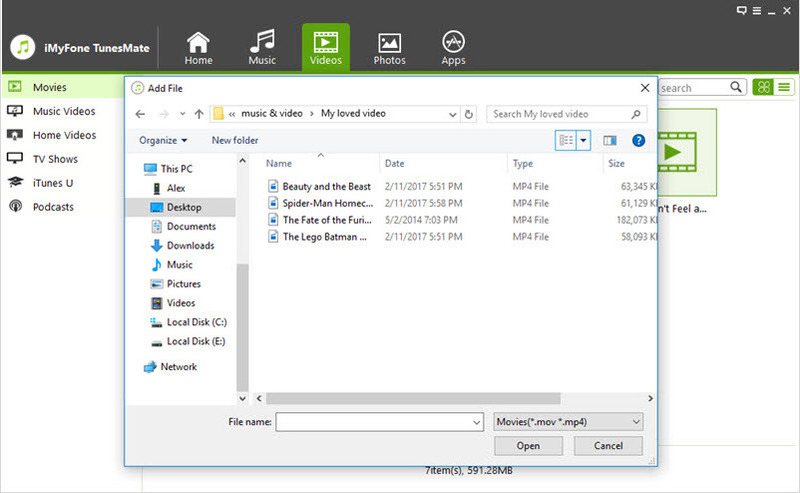 Transfer files that include music, movies, playlists, photos, TV shows, podcasts, audiobooks, iTunes U, etc. Step 1: Download and install iMyFone iPhone Transfer, then plug your iPad into your computer with a USB cable. Step 2: Open up iMyFone, then click the Videos tab near the top. Click where it says TV Shows on the sidebar, and you should see a list of TV shows on your device. 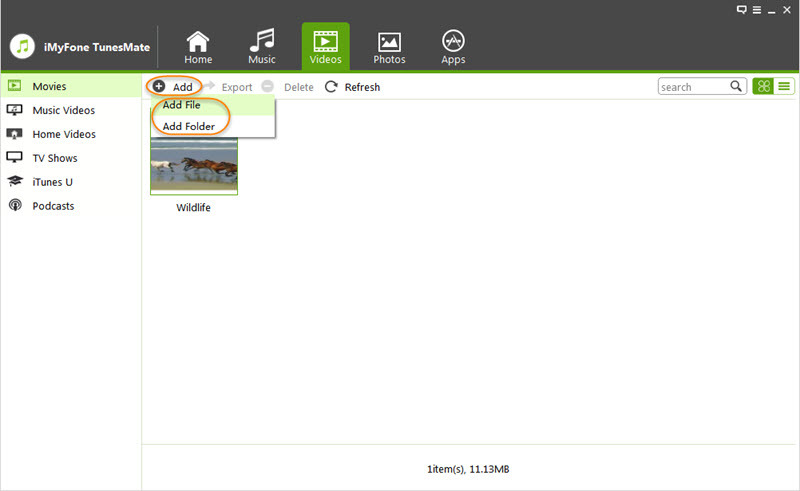 Step 3: Click Add > Add File/Add Folder. 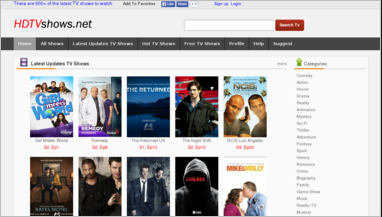 Step 4: From there, you can browse for the TV shows on your computer to select, and then click Open. They will now be added to your device. iMyFone iOS Transfer Received lots of reviews from many famous media, like Geek Reply. Tap the iTunes Store icon in your list of apps on your device. Tap where it says TV Shows near the bottom to browse TV shows. You can also tap the magnifying glass icon and search for a specific show by name. When you find a show you like, just tap where you see “[PRICE] BUY” near the title of the TV show episode. After that, simply confirm by tapping the same box again when it changes. It will automatically start to download to your device. TIP: To download faster and not waste cellular data, it’s best to be on a WIFI network when you do this. Again, tap on the iTunes Store icon on iPhone. 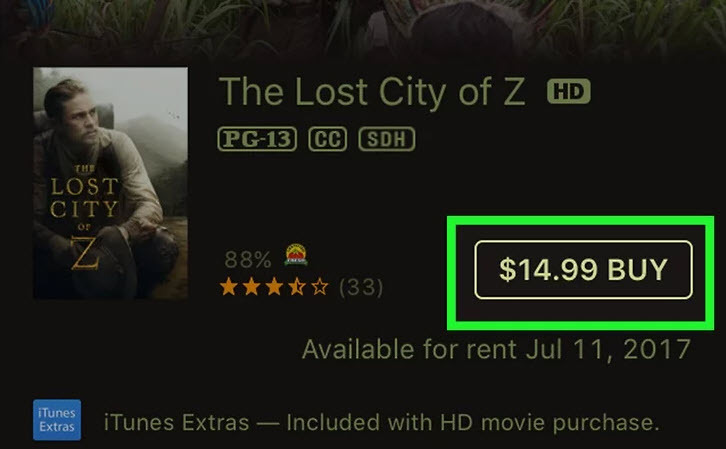 Tap More > Purchased > TV Shows near the bottom. Tap the TV show that you want to redownload. Tap cloud icon. The video will be downloaded to your device.